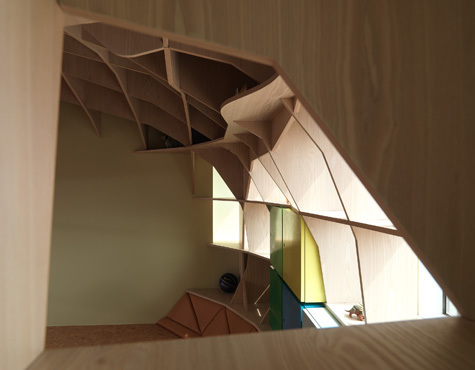 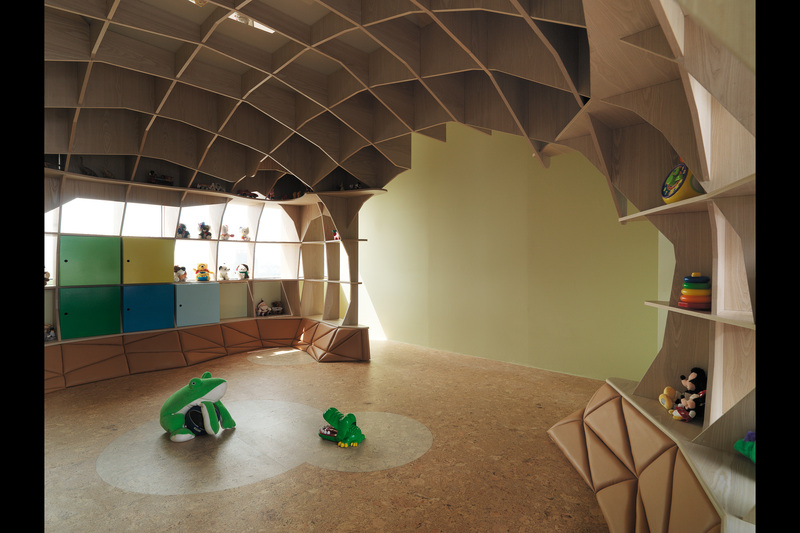 Based on the matrix concept, the egg-shaped spatial design is adopted to symbolize vitality, the onset and hope of life. 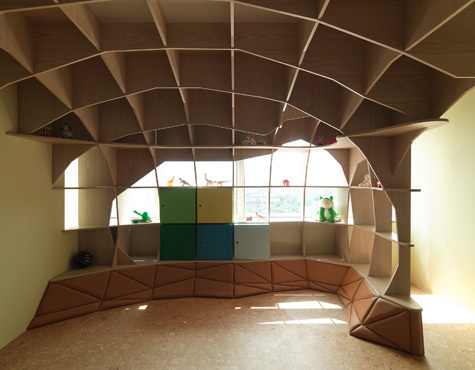 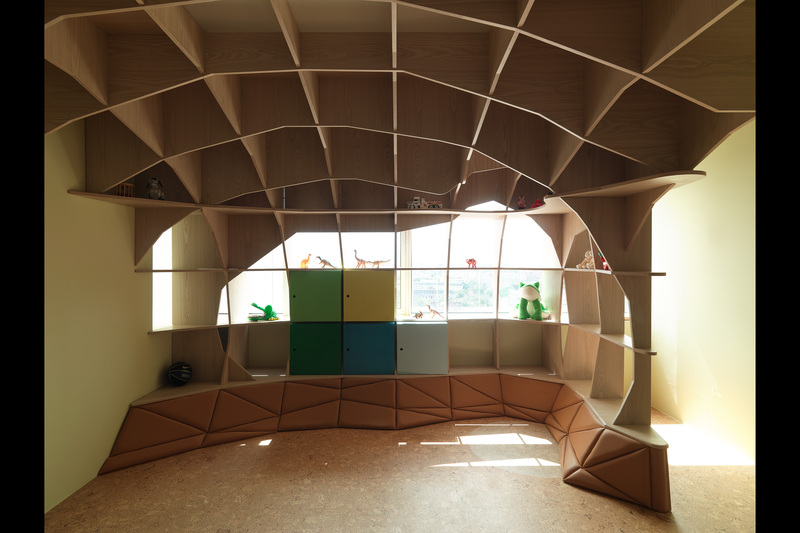 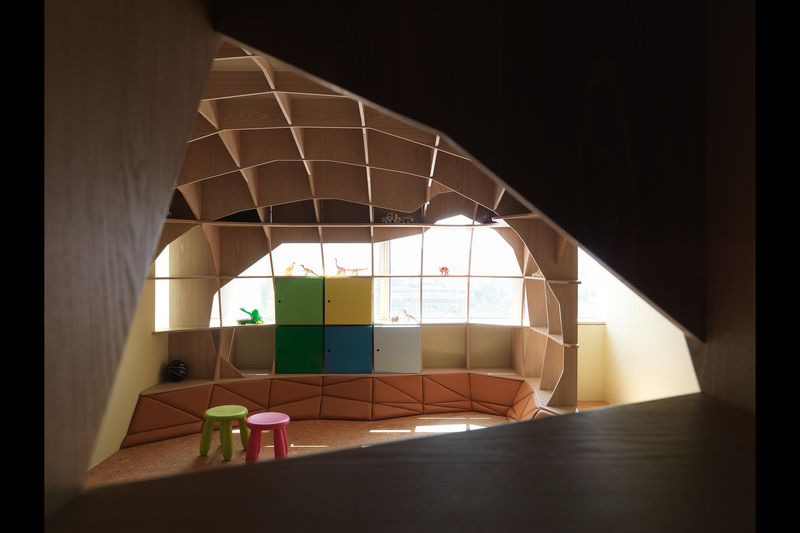 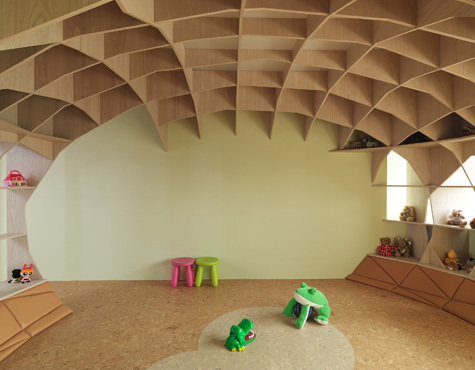 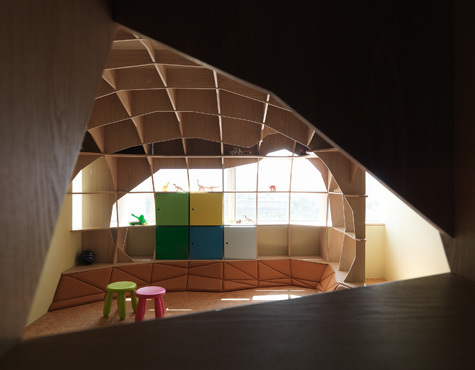 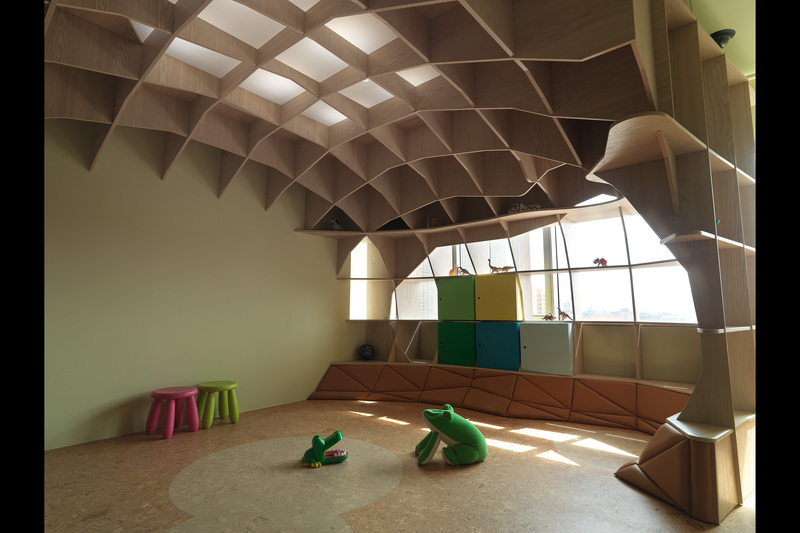 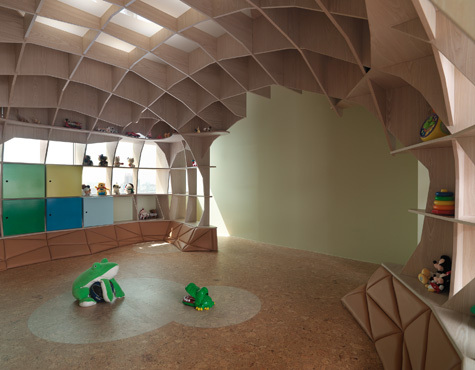 The grids derived from the egg bring an irregular function arrangement and the egg wrapped with plywood layers turns the room into a large toy.The colorful grids are designed for storing game equipment and toys also to add interest to the space in the idea of toys within a toy. 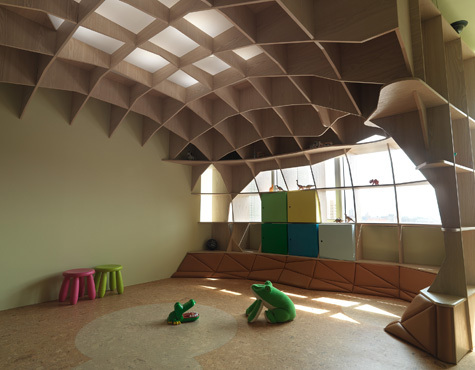 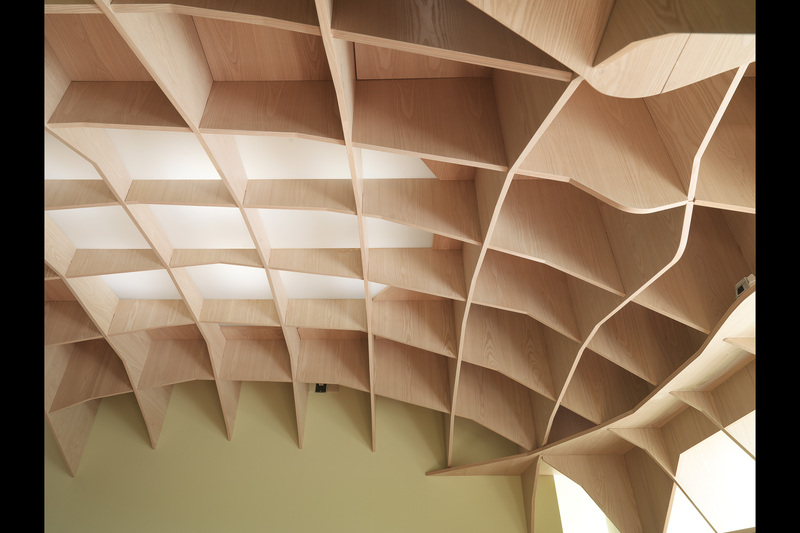 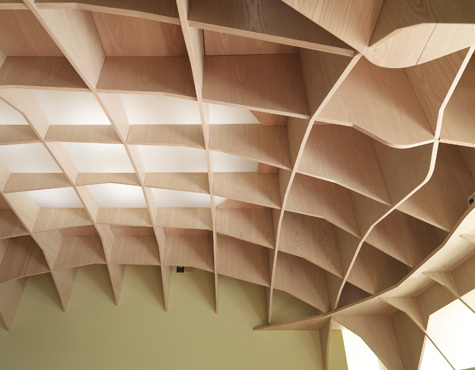 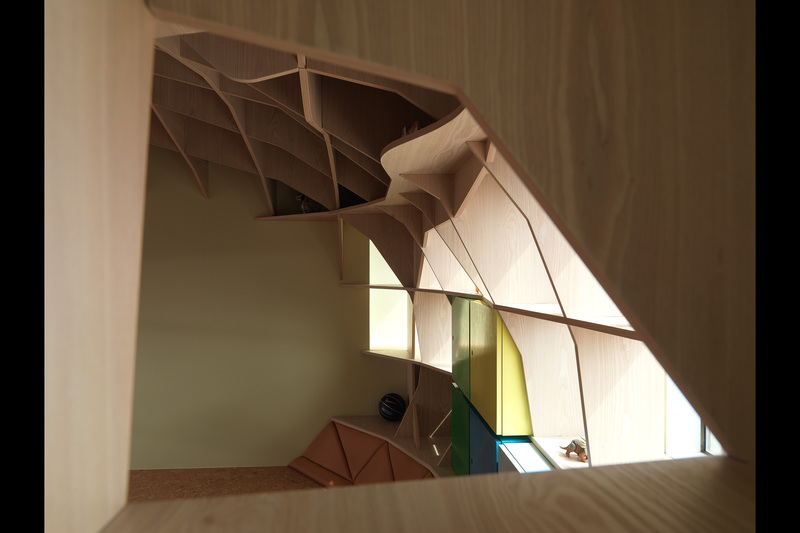 The roof is made of acrylic to extend vision and bring a gradational effect to the space. 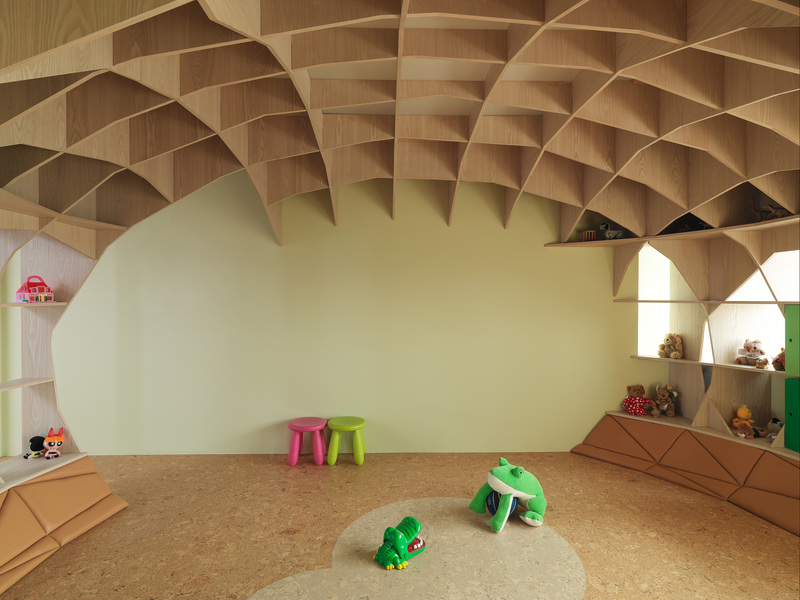 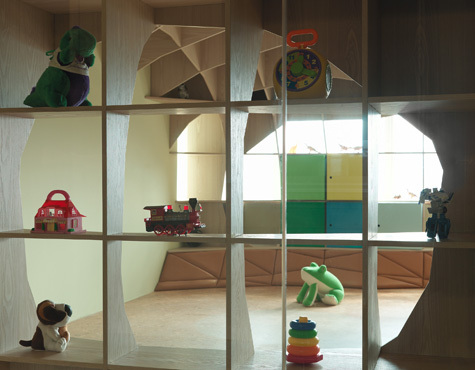 Functionally, colorful cork flooring is used for child safety. 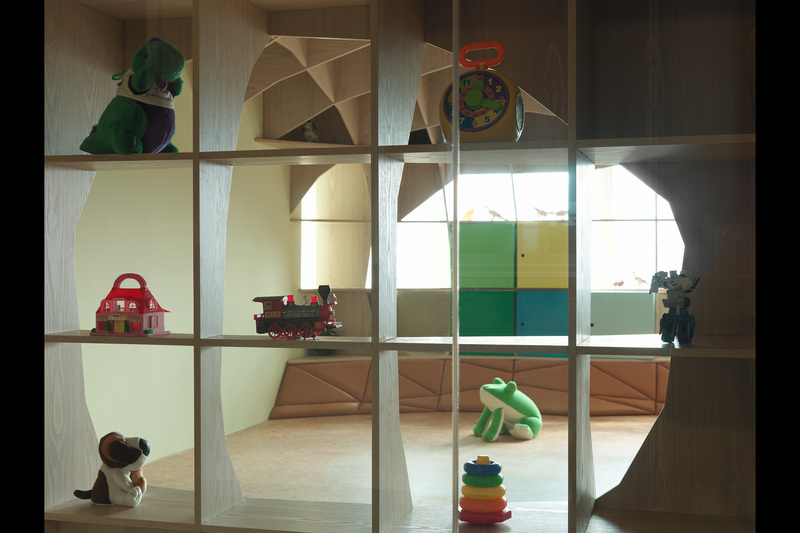 In addition to the soft touch,it also bring a warmer tone to the room. 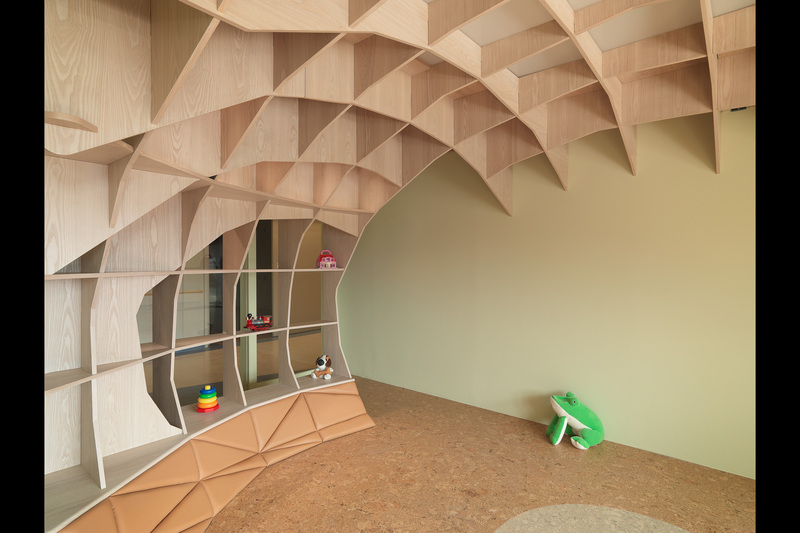 The shape of the egg is emphasized with the soft leather mats in polygonal shape at the bottom of grids to match with the safety and comfort of cork flooring. 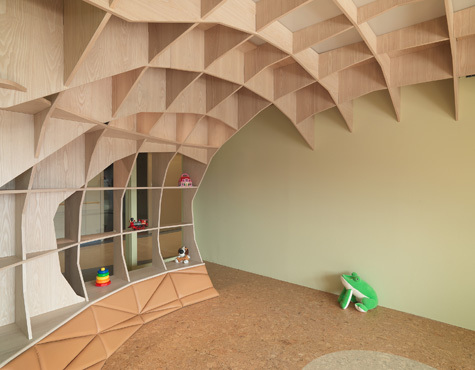 Also, a green background is craftily embedded into the natural cork bottom and the oval spatial design to bring a friendly and warm tone to the entire space in a simple yet abstract layout.